For his anger is but for a moment; his favor is for a lifetime. What I love most about the Lenten season is that it straddles the end of winter and the beginning of spring. We usually enter into Lent amidst dreary weather–cold temperatures, rain, and snow. Even we ourselves reflect the gray of the winter season by smearing our foreheads with ashes, a reminder of our own mortality and human limitations. At the beginning of Lent, it can feel as though the dreariness—cold and wintry weather, fasting that may feel burdensome—will never lift. This year, as George Harrison sings, “it’s been a long cold lonely winter.” Stubborn below-freezing temperatures have persisted. Here we are, mid-way through March, and snow is still on the ground. Yet we forge on in our journey. Somewhere along the way, the snowy season comes to an end and the first shoots of green begin to peak out of the ground. Spring is on its way. I see the signs already: What was once a concentrated beam of light dimly shining through our windows has become beautiful ambient sunlight flooding in from every direction in the early mornings. This is the hope of rebirth—of life from death, reconciliation from conflict, forgiveness from transgression. This year, the coming of spring has been sweetened by a personal experience. Last fall, my older brother was nearly killed in a motorcycle accident in which he lost his left leg. For the active person that my brother is, this injury was like death—the loss of life as he knew it. Our entire family and community of friends felt this loss with him, though certainly not in the same depths as he felt it. Over the months, he has had to wait for his body to heal enough to be fitted for a prosthetic leg and begin the long road of rehabilitation. Just this week, I received a video from my brother in which he is taking his very first steps with his new leg. Watching him walk again was like seeing resurrection with my own eyes. He enters into rehab next week to learn how to walk and resume an active, ambulatory life. This is my spring. This is the gospel. There is hope in loss; there is life beyond death. Now, as we find ourselves in the depths of the Lenten season, we wait and pray, heal and allow God to work beneath frozen ground. 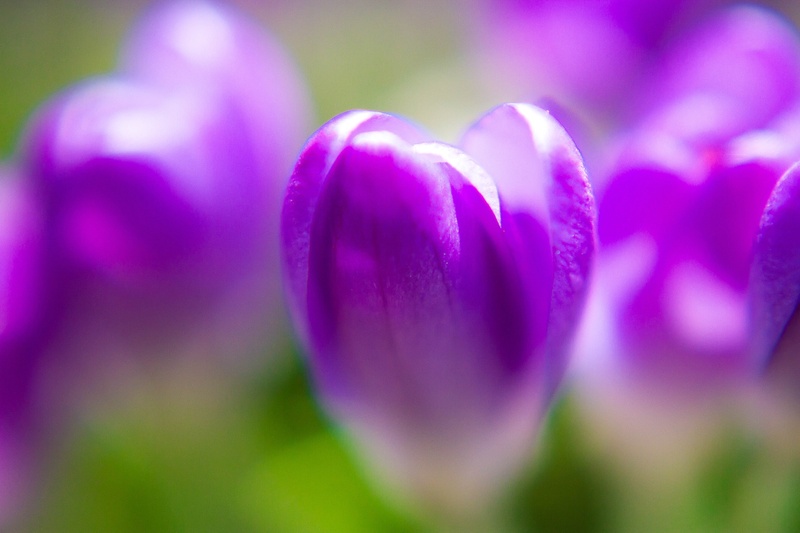 In this second half of Lent, I pray that we may all find signs of resurrection, of the spring that helps us believe in God’s gift of love and the promise of a new creation. Thank you for starting your blog. Reading it has been a blessing. I will pray for your brother and his recovery and adjustment to the loss of his leg. My brother was in a motorcycle accident when he was 24 years old. He remained in a coma for 4 years and then died at age 28. To this day, I cannot hear a motorcycle or see one without shuddering.